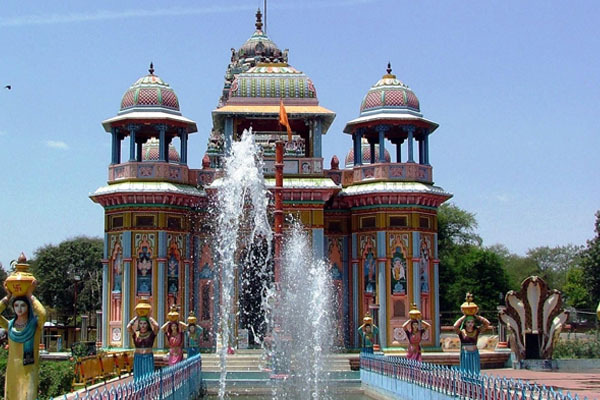 Betul is one of the marginally located southern districts of Madhya Pradesh, lying almost wholly on the Satpura plateau. It occupies nearly the whole width of the satpura range between the valley of the narmada on the north and the bearer plains on the south. It forms the southernmost part of the Bhopal Division. The District extends between 21-22 and 22-24 degrees North Latitude and between 77-10 and 78-33 degrees East Longitude and forms a compact shape, almost a square with slight projection on the East and the West. Two small enclaves of the district, viz., Batla blocks of the Govt. forests lie to the West between the districts of Nimar (East) and Amaraoti. These enclaves lie on the Northern bank of the Tapti. They extent from West to East between the Meridians 77-59 and 77-02. The District is bounded on the NORTH by Hoshangabad, on the SOUTH by Amaroti of Maharastra, on the EAST by Chhindwara District and on the WEST by the District of Hoshangabad, East Nimar and Amaroti. The Southern boundary of the district runs almost along the southern foothills of the melghat range, but excludes hattighat and Chikalda hills in Amaroti district. The Western boundary is associated for some distance with the Ganjal river (Southern), a tributary of Tapti, and then with the watershed line between the Morand and the Ganjal (Northern), the tributaries of the Narmada. The Northern boundary is marked by the course of the Morand river, and by the TAWA river beyond Dhodra Mohar Railway station. The Eastern Boundary runs through small streams and hills among which Khurpura and Rotia Nalas are of some significance. The district derives its name from the small town of Betul Bazar about 5 km south of Badnur, the Headquarters of the district. During the Maratha regime also, in the beginning of the British rule, Betul or Betul Bazar was the district Headquarters. In 1822 the District Headquarters was shifted to the present place, then only the village came to be known as Badnur Dhana, meaning Badnur village in the local dialect. Now, even after such a long time, not only the district retains the old name, but the name of the new Headquarters town, Badnur, as also been superimposed by "BETUL".